The simple mistake lots of parents make when buying nappies. Plus: Thousands of experienced parents have been getting it wrong. Do you know what the different nappy sizes mean? You may have been buying the wrong ones. We all know how much work babies are that when it is time for shopping for nappies we buy the best value and nearest size to our little tot. However, a simple error could be contributing to leaking nappies during the night. When a nappy is marked as size '3+' most parents assume that this is the halfway between three and four. However, it actually refers to the level of absorbancy while the acutal nappies are indential - the exact same size. 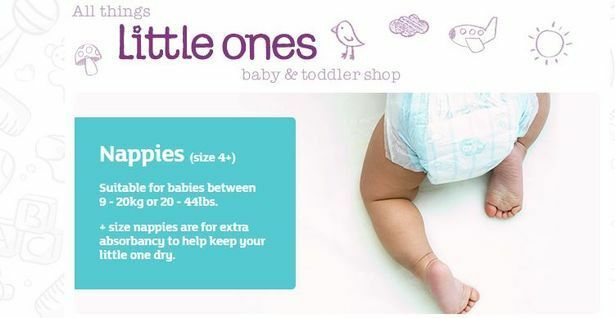 In a response to a customer's complaint on its website about their child's nappy leaking Pampers reiterated the size guidance saying that babies "can also outgrow the absorbency before the size, so we do offer "+" sizes too, which will offer a little added absorbency."